This Summer, Stay 3 Get 1 FREE! THIS SUMMER, EARN A FREE NIGHT BY STAYING 3 SEPARATE TIMES WITH RED ROOF! Where will you go this summer? Pack your bags and start saving with Red Roof! 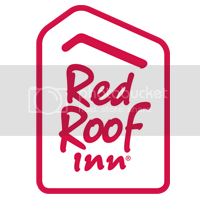 All RediCard members who register for the Stay 3 Get 1 promotion, and who stay 3 separate times with Red Roof between June 1, 2016 – August 31, 2016 from the point of registration, will earn a free night. STEP ONE– Log into your RediCard account or enroll to become a RediCard Member. STEP TWO– Once logged into your account, register for the Stay 3 Get 1 promotion. STEP THREE– Stay at Red Roof 3 separate times from June 1, 2016 – August 31, 2016 and earn a free night!